PHYTEC develops and manufactures System on Modules for industrial use in Mainz, Germany. We design high-quality as well as cost-effective products from start to finish. PHYTEC focuses on a high level of customizability as well as interface standardization. We accelerate your design from concept to finished product and strive to ensure the long-term availability of our products. While PHYTEC cannot ensure continued availability of all the components used on our products, we endeavor to ensure fully-compatible migration paths to second sources and other replacement components in the event of the obsolescence of parts used on our products. Our SOMs are the solution to your high-quality, high-reliability, and long product life-cycle requirements. The families in the PHYTEC SOM portfolio span phyCORE, phyCARD, and phyFLEX. Each family offers unique advantages from comprehensive processor support, scalability, and flexibility. We don't make the processors, we make them more applicable. Our SOMs are added to the Carrier Board like a "component" - PHYTEC develops the complex processor based products for you. PHYTEC SOMs incorporate essential circuitry common to all embedded applications. In this circuitry, a microprocessor interfaces with RAM, Flash memory, power management, LCD, Ethernet, USB and other commonly-used interfaces... all within a compact, robust, EMC design. By designing the SOM into your application you remove the challenge and risk of advanced microprocessor design, fine pitch BGA, high-speed routing, design verification, EMC conformance, and the significant effort of board bring-up and BSP development. Our SOMs are designed to plug into a carrier board that provides the I/O connectors as well as any other interface circuitry not provided on the module itself. You can then either design the carrier board yourself or let us do the work. By using an off-the-shelf SOM and production-ready BSP, combined with PHYTEC integration and design services, you will eliminate many months from your development timeline. 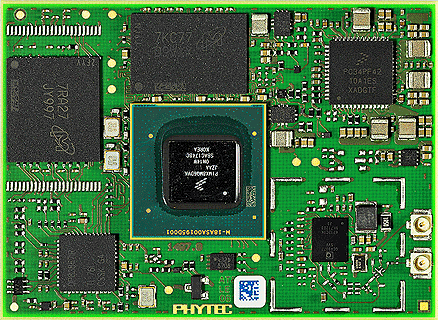 All PHYTEC SOMs are shipped with hardware-specific Board Support Packages (BSPs). Design your carrier board to support the SOM using our schematics as reference design, our BSPs to maximize your productivity, while leveraging our expert technical support. Series price pricing transparency is important for us. PHYTEC states all prices in Euro. Pricing is based on a purchase quantity of 1.000 units per year. Pricing varies depending on order volume as well as module configuration. PHYTEC sample prices include the entire development kit as well as accessories necessary for start-up. For example, the phyBOARD Wega AM3354 kit includes the SBC plus a HDMI adapter, power adapter, cable and a PHYTEC QuickStart Guide. PHYTEC sponsors these kits to give you the opportunity to get to know our products without making a big monetary commitment. phyBOARD series prices are in no way dependent on sample prices since purchase quantities for the latter are limited. PHYTEC designs all SOMs for use in three different operating temperature ranges. We are therefore able to offer cost-optimized SOMs for varies applications. When designing the component layout we take the component manufacturer temperature qualification levels into account. We are happy to assist you in finding the optimal variant for your solution. The correct SOM operating temperature depends on the use case of your software application. Modern, powerful processor and other active active parts are usually rated by qualifications based on tolerable junction or case temperatures. Therefore, making a general statement about maximum or minimum ambient temperature ratings for the described SOM is not possible. Manufacturers provide the above mentioned parts in different temperature qualifications levels. We offer our SOMs in different configurations making use of those temperature qualification levels. To indicate which level of active and passive part temperature qualification is used for a SOM configuration we have categorized our SOMs in three temperature grades. The table below describes these grades in detail. These grades are a combination of components, which in combination add up to a sensible temperature range. We can then make use of cost optimizations resulting from the qualification levels of each component. PHYTEC products are certifiable and in compliance with relevant norms and standards. We are happy to handle the entire approval process. 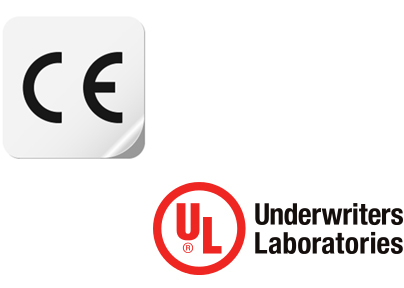 PHYTEC has passed numerous horizontal and vertical directives and standards such as the UL certification (UL), radio transmitter directive R&TTE, power station approval KTA, automotive directive e1, railway or medical certifications. PHYTEC also has experience in developing modules for use in non-EU countries and getting them certified.